We love lamb. 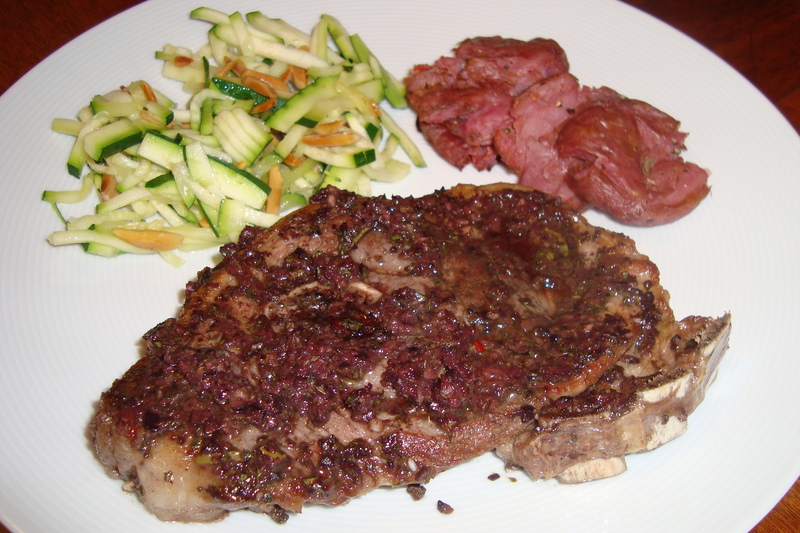 Grilled or roasted leg of lamb, lamb burgers, olive-crusted lamb chops — all delicious. 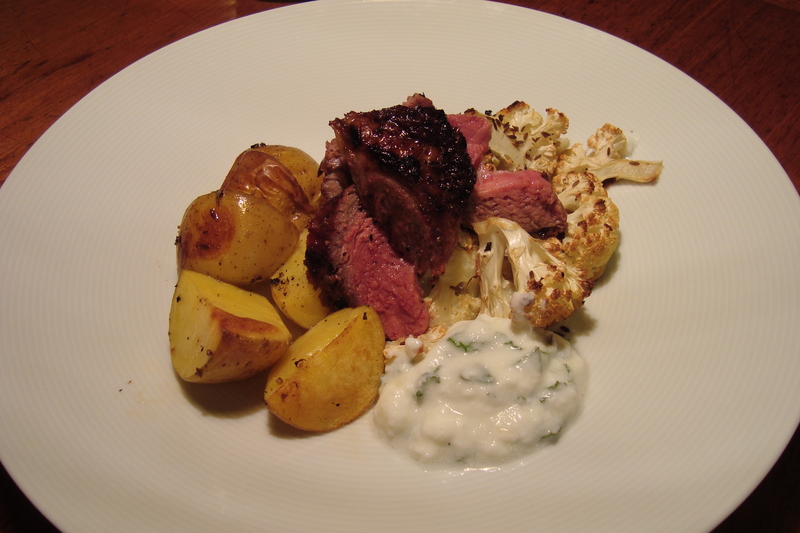 However, there is something so irresistible about a simple, grilled lamb chop. 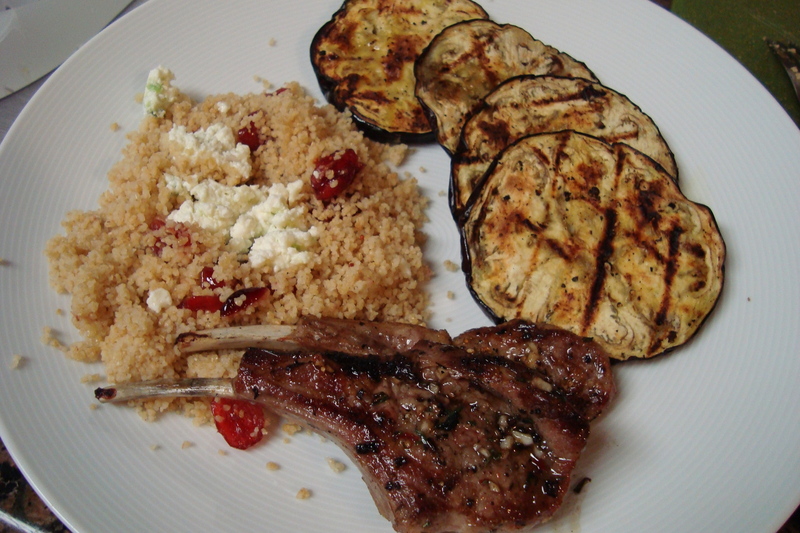 I served these with grilled eggplant and cous cous with cranberries and feta. Combine the garlic, rosemary, salt, black pepper, red pepper flakes, and olive oil. Rub the paste over both sides of each lamb chop. Cover and refrigerate for one hour. Remove from the fridge about 20 minutes before cooking, so that they can come to room temperature. Heat the grill to high heat. Sear on the first side for 2 minutes, then the second side for 2-3 minutes. Remove the lamb from the heat then squeeze lemon juice over them. Enjoy immediately! This was super easy and a really delicious combination. I seasoned ground lamb with coriander and red pepper flakes to give it a spicy lamb sausage flavor. It paired really well with the lentils! Heat the olive oil in a pot over medium heat. Add the lamb, and break apart with a wooden spoon. 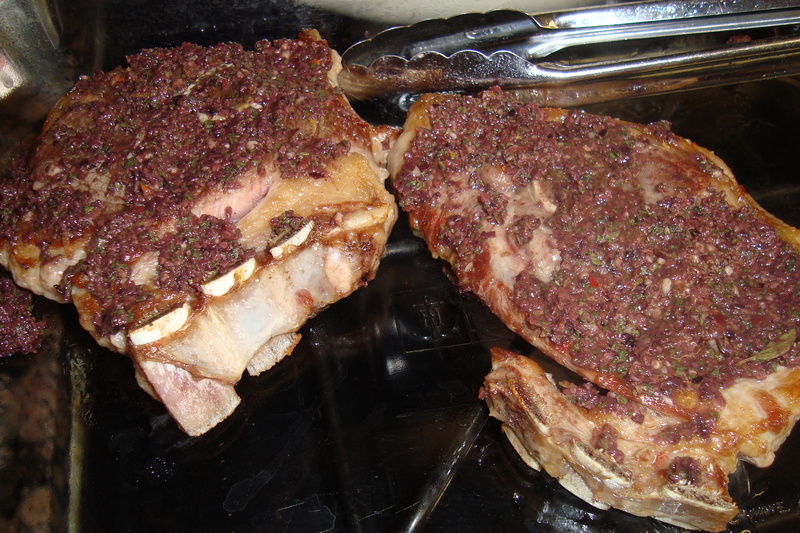 Season with salt, coriander, and red pepper flakes, and cook until browned. Add the onion and garlic to the pot, and saute until soft. Add the carrots, onions, potatoes, lentils, and bay leaf, and stir to combine. Add the chicken broth the pot and increase the heat to medium high. When the pot boils, cover and reduce to a simmer. Simmer for 45 minutes. 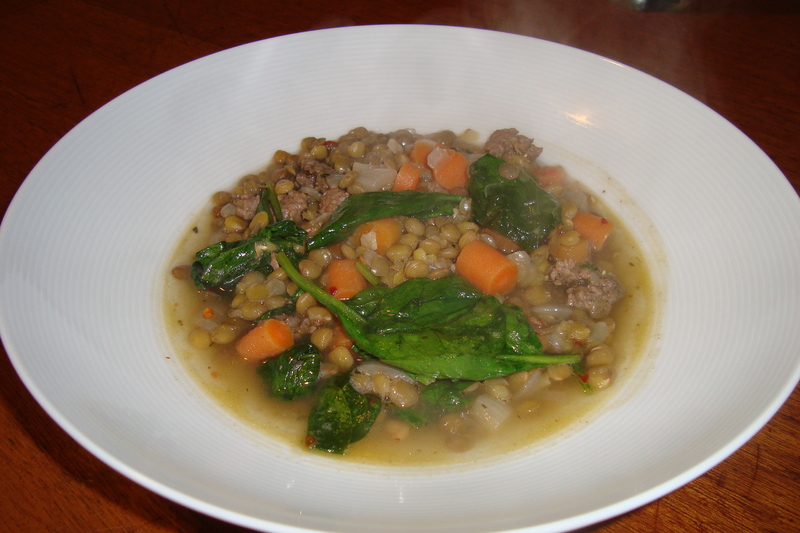 When the lentils are tender, stir in the raw spinach until wilted. Taste and adjust the seasoning if necessary. My parents came over for lunch on Sunday, so I thought I’d try out Anne Burrell’s olive-crusted lamb recipe, from Cook Like a Rock Star. 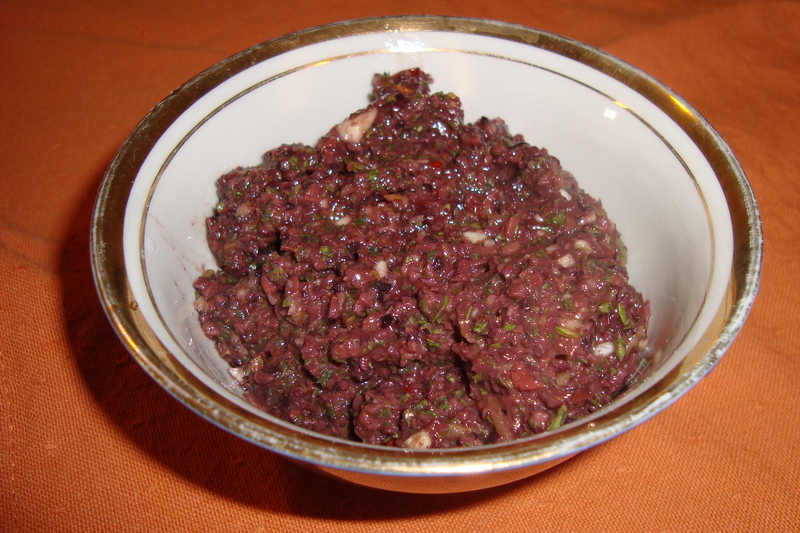 Make the olive paste ahead of time, and it’s an easy meal to entertain with. I served these with sauteed zucchini with almonds and crash hot potatoes. Preheat your oven to 425 degrees. 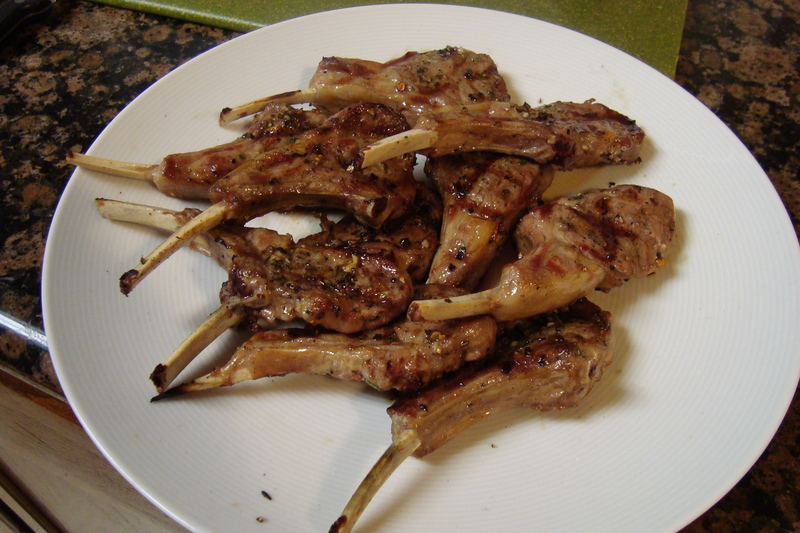 Place the lamb chops on a plate and allow to come to room temperature. Season with salt. Meanwhile, blend the olives, lemon zest, oregano, and red pepper flakes in the food processor. Stream some olive oil in until it forms a paste. Heat a small amount of olive oil in a large skillet over medium-high heat. When the pan is hot, add the lamb, and sear for 2 minutes on each side. Sear the fat along the edge, as well. 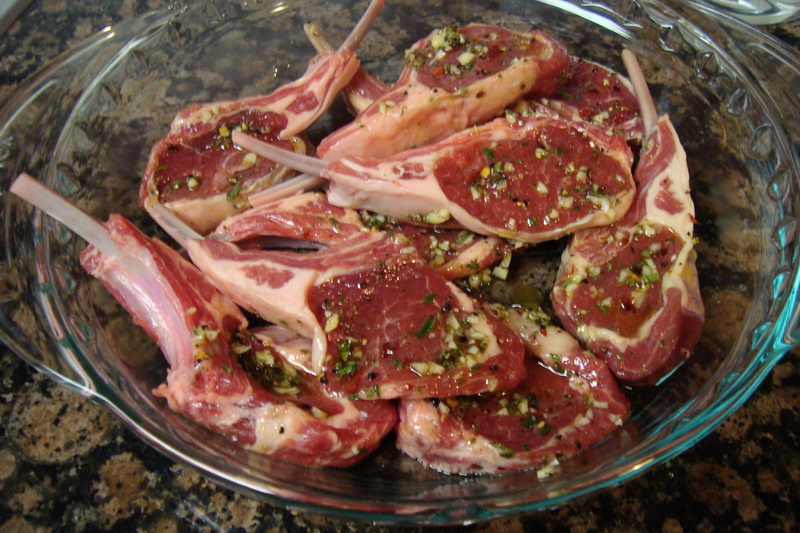 Place the browned lamb chops on a baking sheet, and coat with the olive paste. Roast in the oven for 5-6 minutes, until medium rare.